If you love the smell of Old Spice but wish it were stronger and longer lasting, you've come to the right place. 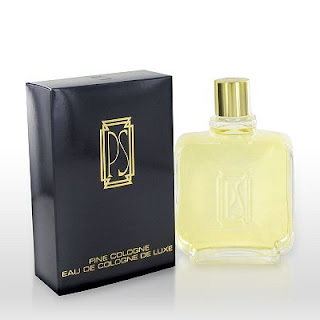 PS Fine Cologne is a hugely underrated powdery and spicy oriental from 1979, and is one of the best powerhouse fragrances from the Seventies. For the first hour or so, PS is basically Old Spice with mind-blowing power. This is STRONG. You do not want to overspray PS. It's a great scent, but if you do that, you're going to regret it. The mushroom clouds of sillage you will unleash are sure to piss off everyone around you, including yourself, and you will be gagging on the unrelenting smell of PS Fine Cologne. The smell will not go away, even after scrubbing your skin with steel wool, meaning you'll have to suffer through your mistake for the next 24 hours. So go easy on this - four spritzes, max. PS is one of the best blended fragrances I've ever worn. It's one of those scents that makes me take a deep breath and smile after I put it on, it's so comfortable to wear. I'm not a fan of sweet orientals generally, but what lights my fire with this one is the way it uses spicy, woody and oakmoss notes. These notes never come center stage, but are there to counteract and balance out all the brutal sweetness. They give a strong aromatic quality to what would otherwise have been a sweet, syrupy slog. A fragrance with this much amber, tonka bean, benzoin, vanilla and myrrh could be sickening, but PS isn't cloyingly sweet, thanks to the oakmoss and woody notes. What's interesting is how PS changes its tune after a couple of hours of wearing it. Despite its crushing strength, PS' Old Spice-like smell for the first couple hours smells relatively well-mannered and almost formal, like a cologne you would wear at a black tie dinner, wearing a tuxedo. After an hour or two, though, things start to change. 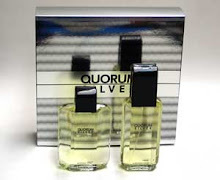 That's when the aromatics start to kick in, and PS begins to resemble the hairy chested fougere powerhouses of its era like Paco Rabanne and Brut; it's like PS left the ballroom in time to head over to Studio 54. For the remainder of its life on your skin, PS remains the medallion wearing disco freak, pummeling everyone on the dance floor with its pounding sillage. People seem to love or hate this scent, and I think part of that is due to its cheap price and hideous bottle. The other thing that I'm sure turns some people off is its heavy powderiness and its frightening strength. If you love strong scents, however, don't let any of this stop you from getting a bottle of this. This is one of the all-time great power fragrances. Another great review - nail square on the head again! I bought a splash bottle of this (just like the photo) from Walgreens in Monterey, CA whilst on holiday there so great associations for me. That aside, it's a real 'smile on face' fragrance for me too and I DEFINITELY get the '4 sprays max' warning - I learn't the hard way with this and have decanted the remaining bottle into an atomiser...! The bottle mine came in has a screw-on/off sprayer, so I can use it as a splash bottle if I wanted to. However, I don't want to. I'm too young to die. Ha! Too right - it's thermonuclear. When I bought it I splashed it on pretty liberally as sniffing the bottle it smells fairly light and 'eau de cologne-y' - boy was that a mistake! It was OK for about 20 minutes then EEEEEEEEEEEEEEEEEEEEEE!!!!!!!!!!! Air-raid siren intensity which wilts plants as you walk by them! As I said in my Fragrantica review: "I don't see a direct connection with Old Spice, other than that there are many 'men's' fragrances that have at least a few things in common. Specifically, OS has a dry, patchouli and wood accord that is not present here, and it's also got anise up top, which is also missing here. Both are a bit too blended for my tastes." Could you be more specific about why you think they are so similar? Thanks. Another good review, I might have to check this bottle out. You seem to have a bit of an affinity for big, green, powerhousey fragrances... maybe just a bit ;). I think you would like Narciso Rodriguez for Him. It's a great big green musky powerhouse of a cologne, where the greenness comes from a lush wet violet leaf and a great patchouli, with a heavy, dark musk base. Very strong and aromatic. It reminds me of those loud fougeres of the seventies. The EDT, by the way, is superior the the EDP. Hi Bigsly. It really does come down to perception, because I don't smell any patchouli or anise at all in Old Spice (I own old Shulton bottles and the P&G stuff). Old Spice smells totally smooth, soft and powdery to me. I smell a lot of benzoin, vanilla, etc. oriental type base notes in Old Spice, and that's what I smell in PS. PS has that smooth, powdery sweetness that Old Spice has. When they diverge is after an hour or two in PS, when it becomes more aromatic and begins to bare its teeth. Hi Peacefinger. 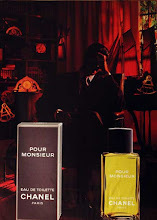 Yes, I certainly do gravitate towards powerhouse and green fragrances! And yes, I agree that Narciso is a great scent. 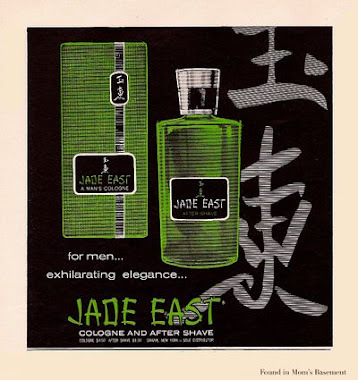 I have a bottle of the EDT (never tried the EDP), and even though I really like it, I hardly ever wear it. It's a scent that I really have to be in the mood to wear, it's so unique. And very strong. I like its gray, damp smelling violet leaf and oakmoss. Definitely a love/hate frag. This was passed on to me buy a friend who got it cheap online and didn't like it. Am I lucky or not? For some reason it doesn't come off as such a powerhouse to me. It is certainly plush and old-fashioned but only on a superficial level. There is an edgy woodiness in it that I enjoy very much. You know, I had exactly the same impression of PS when I first sampled it. It struck me as an old man's powdery scent, and although it was really strong, I thought, "It's okay, but not a powerhouse", because it didn't seem to have that brash killer edge that real power scents have. However, that all changed when I started actually wearing it around all day. I find it totally macho and powerful by the two-hour mark. Have you tried wearing it for a whole day? If not, give it a try. I think you might change your mind about it. Plus, I remember smelling this a lot back in the late 70s/early 80s when I was a kid. 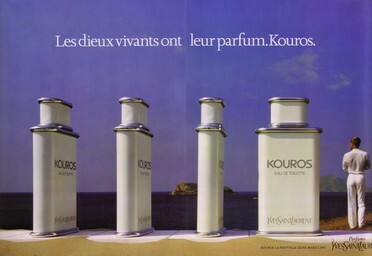 It was a popular scent on the East Coast in those days. Back then the hairy chest/chains/open shirt macho look was in style, and I remember that those kind of guys tended to be the ones who wore PS. You have a great blog here--far and away my favorite. Thank you and keep 'em coming! I always thought that PS looked like some generic white labelled product--really horrible packaging. I have no idea who Paul Sebastian is/was--a designer? Perfumer? Hairdresser? Anyway, great review on the juice. Any chance of a review of any of the Guerlain's in your collection? Thank you for the kind words. I'm honored. Yes, I will certainly be teeing up some Guerlain reviews. It's just a matter of time. Right now I have about 270 bottles in my collection, put a lot of samples, plus about 100 other frags that I used to own. That's a lot of ground to cover. By the way, Paul Sebastian was not a person. It's the name of a company that was created by two guys from New Jersey back in the Seventies - I think they were named Paul Cuozzo and Alan Sebastian, or something. They combined their first and last names to create Paul Sebastian. I hear they became rich and famous with this very fragrance back in the late 70s and early 80s, before they sold the license to another company. PS is like the ultimate drugstore fragrance, because it combines Old Spice and Brut together into one super powerful fragrance. Gotta love this juice. Good way of describing this frag. At first sniff, I smell the Old Spice similarity right away. 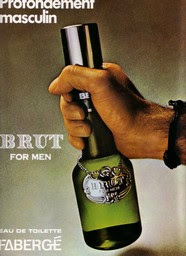 It's when you get later into the scent that you smell the hairy chested Brut-like qualities.